The leaves are falling from the trees and the last warm rays of sunshine pamper our skin. And right on cue, here comes BOCCIA TITANIUM with a range of new watches for fall – perfectly tuned to Nature’s colorful display. The new watches cut a dash but are nevertheless subtle and discreet. Classic round shapes are the order of the day and the minimalist look underlines the feminine elegance of the “SLIM” series. Whether in shades of mocha or caramel or this season’s must-have marsala, a seductive rich red, BOCCIA TITANIUM offers the perfect color for any wearer and any occasion. With their three-dimensional look and harmonious design, the dials are attractive on all levels. Matching leather straps round off the purist appearance. Gold or rose gold-plating gives these delightful fashion accessories a fine shimmer, guaranteeing a good mood as a welcome side effect. 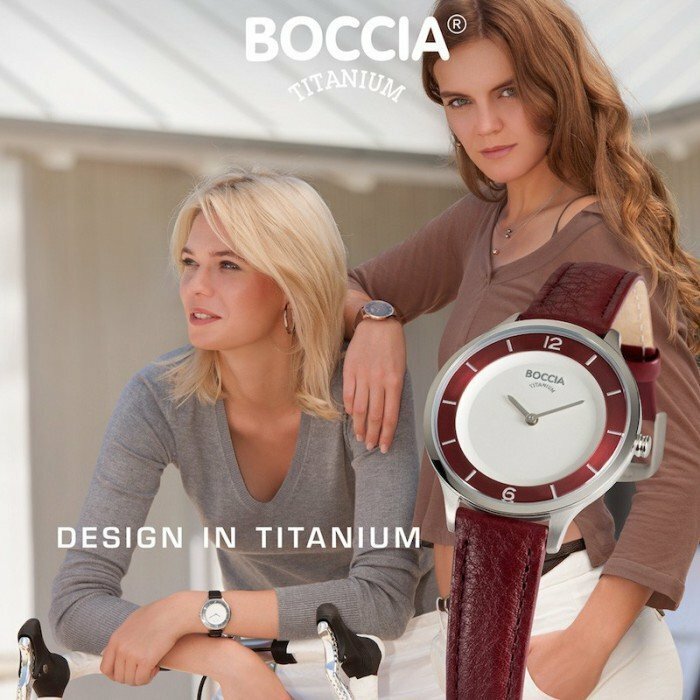 Pure titanium as its trademark material, international design, excellent value for money, first-class quality and a collection that comes out on top time and again: in the 2015 survey conducted by “markt intern” amongst retail jewelers, BOCCIA TITANIUM was voted “Watch Brand of the Year” (in the price bracket 100 to 300 euros and for the 11th time in succession in the price bracket to 100 euros).